What Is A Model Arab League? Almost 50,000 students from across the United States have participated in the program since its inception. Many are now in leading positions in business, diplomacy, and academia. Over 2,200 students from hundreds of schools participate in the program each school year. In this structured summit simulation, students role-play as diplomats. Each student represents one of the 22 member countries of the League of Arab States, the world's oldest regional organization dedicated to resolving disputes peacefully. Students participate in one of eight Councils like those in the real organization. The student diplomats discuss and draft recommended solutions to important regional and global issues outlined in a provided agenda. Students learn, practice, and master rules of Parliamentary Procedure while debating and crafting responses to challenges presented to their Council. These mock summits are held year-round in regions throughout the United States and abroad. What Does One Gain From Participating In A Mock Summit Of Arab Leaders? 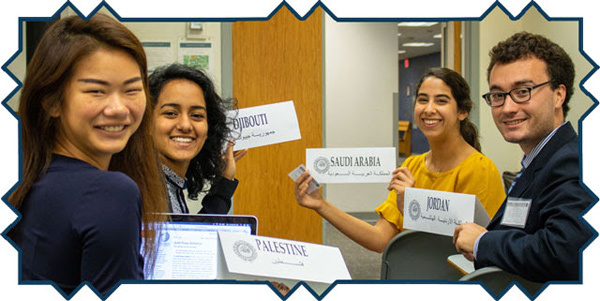 Participation in a Model Arab League summit deepens students' knowledge of the history, culture, religion, economics, and politics of the Arab world. An especially valuable benefit is that students also develop critical leadership skills in debate, negotiation, critical thinking, the art of compromise, and public speaking. Through exploring and articulating the positions and foreign policy objectives of the Arab country they choose to represent, students gain greater insights into and a more meaningful understanding of the dynamics underlying the U.S.-Arab relationship. 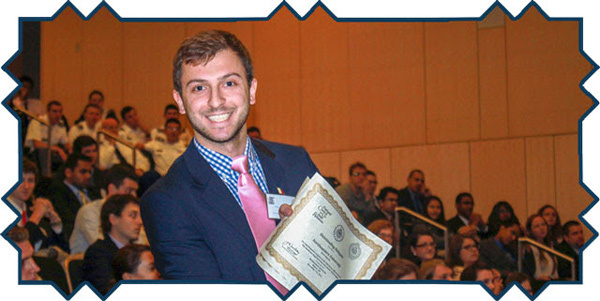 Participation in the Model Arab League program also enables students to be eligible for semester and summer internships in the nation's capital, study visits to select Arab countries, and complimentary registration for the National Council's Annual Arab-United States Policymakers Conference. How Do Students & Their Faculty Advisors View the Program? "The Model Arab League mock summits provide an open-minded platform for people to broaden their understanding of different cultures and societies. It helps bridge divides, engage sometimes-apathetic students, and connects people to learning far more about the Arab region than they could possibly learn in a class or from a book, a video, or any other way." 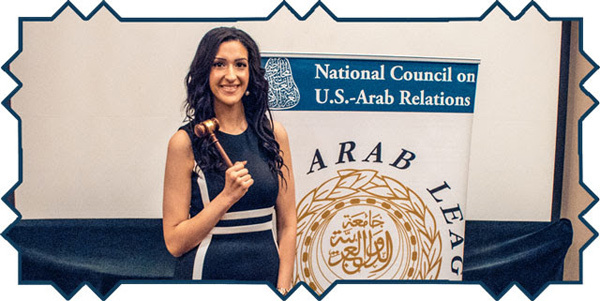 "Model Arab League is an experience that all students should try regardless of their major or future goals. It provided me with skills and confidence on issues that I did not feel comfortable discussing prior to participating." 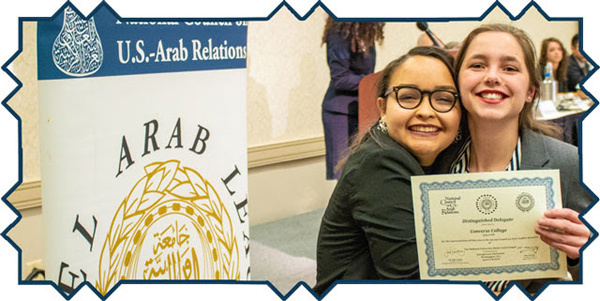 "The Model Arab League mock summits provide an opportunity for a student to learn, experience, and develop leadership skills that cannot be compared to any other program in Arab Studies that I have encountered. I found the program to be an immensely valuable and enriching experience for my students. Having participated in more than a dozen Model Arab League experiences already, I still look forward to each year's forums." What Are The Kinds of Issues That Students Debate? Each Council has an agenda with topics that relate to pressing Arab region issues. 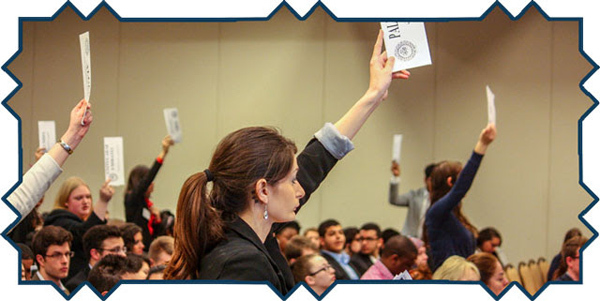 These topics are outlined and detailed in Background Guides available in the Model Arab League section of the National Council's website and are used to stimulate students' discussion, debate, and resolution writing. Registering for an Arab League mock summit is done online through the National Council's Model Arab League (MAL) website. A Council staff member will contact you shortly after your registration has been received. Anyone interested in learning about the history, culture, religion, economics, or politics of the Middle East should be considered a candidate for your team. Successful competitors are not limited to those in political science or history programs. The program has always welcomed students from all backgrounds and experience levels, and there is great strength in having a rich diversity of participants! Summits proceed according to rules of parliamentary procedure. These are provided in the National Council's MAL Handbook on the MAL website. Resources for learning about assigned countries and parliamentary procedures are available on the same site. ATTEND THE ARAB LEAGUE MOCK SUMMIT! MAL mock summits begin with a Plenary Session where all attending delegates convene. Much smaller meetings follow. They are comprised of participants interested in a particular issue. Examples include analyzing social and health concerns arising from climate change, encouraging economic diversification, addressing how displacement and conflict can prevent children from accessing a stable education, repairing and rebuilding damaged and destroyed Palestinian infrastructure, evaluating the threat of cyberattacks, and much, much more. These smaller meetings are called "Council Sessions." Such sessions constitute the majority of the mock summit. In Council Sessions, delegates draft, debate, and vote on resolutions reflecting their countries' positions. The resolutions that pass through the Councils are presented at a Summit Session, where all the participants again gather together. There, resolutions face a final review and much larger vote for or against. Awards are presented at the conclusion of the Summit Session to outstanding individuals and outstanding teams. Where Are The Model Arab League Mock Summits Held? The Model Arab League Mock Summits are held every year in over 20 cities across the United States! Visit https://ncusar.org/ModelArabLeague to see which dates and locations for upcoming Model Arab League Mock Summits are near you. What Resources Are Available From The National Council? Numerous resources and guidance for how to proceed are posted on the National Council's website (see Model Arab League). 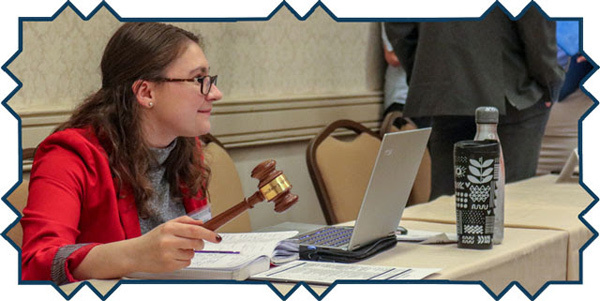 These are designed to aid faculty advisors and students in their research, understanding of parliamentary procedure, and overall preparation for participating in a mock Arab League summit. Each academic year, the National Council develops a unique Agenda with four topics or issues assigned to each Model Arab League council. The Agenda sets the specific focus for students' research, discussion, and debate. The National Council posts Background Guides with information on each of the topics on the Model Arab League Summit Agenda. The Guides provide context on topics and enable students to begin their research. The Model Arab League Handbook is an all-encompassing document. It is an aid to everything an individual and a team needs to know about the program and the benefits for anyone who aspires to be a leader in any walk of life. It contains information on how to plan for a summit. It also provides an easy to follow guide to Model Arab League Parliamentary Procedure. 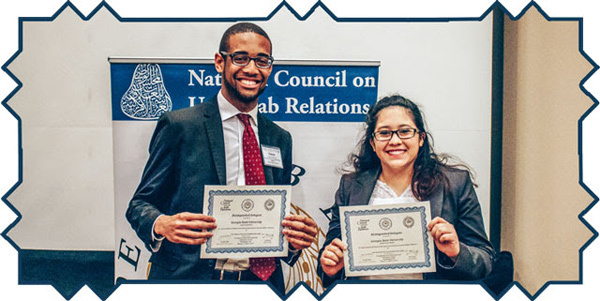 The National Council's website (ncusar.org) has videos, tutorials, and links to help students begin their research so as to be prepared to get the most out of each mock Arab League summit. 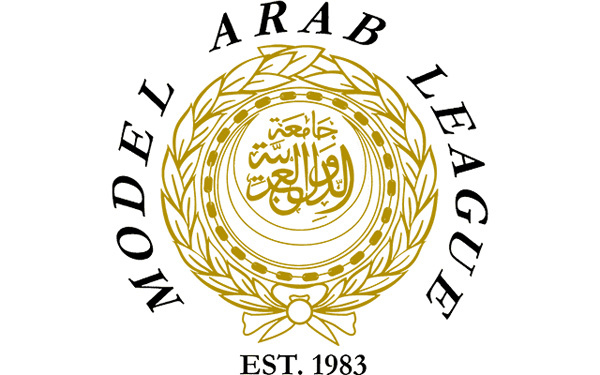 Interested in learning more about Model Arab League? Interested in participating or in starting a Model Arab League program at your school? Have a question about Model Arab League?